Over the Bridge: Where to buy plants? When starting a new garden from scratch, it's all very well to have a design in mind with specific plants chosen - not that I have firm plans just yet (but if I did) sourcing the plants can be a hurdle. I haven't had to buy plants for quite a while. I propagated many of the plants for Missy's garden. Although we brought plants with us, we will still need to buy quite a few. I got a shock when I looked in the garden section of the big green shed and a tray of mini mondo grass was selling for $28. Surely I can find better value. Being new to the area, we spent a day last weekend on nursery reconnaissance - checking out the variety, price and plant health. 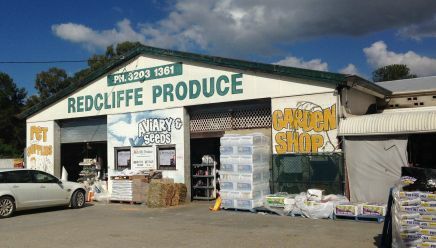 We headed south and visited 6 nurseries in the Deception Bay to Morayfield area i.e. within 45 minutes drive. I forgot all about taking photos, but I will be back to a few of them soon so I will hopefully remember next time. 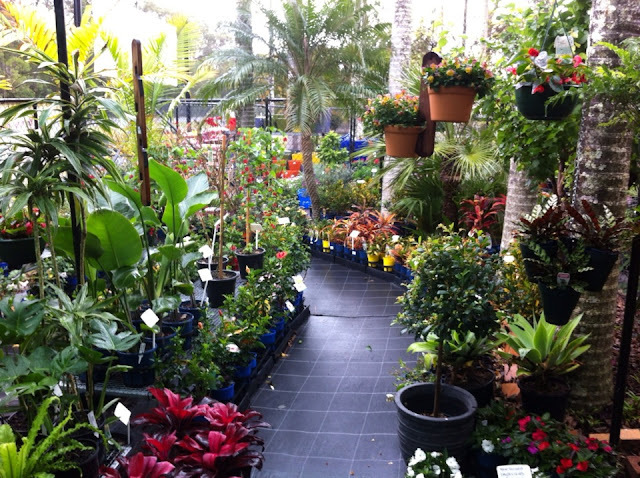 This was a wonderful nursery (photo from their website) Their presentation of plants was outstanding. Lots of ideas for ways to multi-plant pots and display special plants. A different nursery called Garden Gems (website photo again) just crammed with healthy plants. One I won't return to. There was little variety and the plants were very expensive. All the rest were great. One was a huge surprise. It wasn't on my list but a lovely man at one of the other nurseries told me to go there. It's a Produce Store selling animal food, farm supplies, etc and has a nursery section. Great plants quite cheap. We bought a couple of things even though we aren't ready yet to plant and this was just a fact finding mission. This again is a photo from their website. If we hadn't been advised to go there we would never have found their garden shop. Then, the next morning, we went to the local markets. Along with all sorts of other stalls and entertainment, there were about five or six plant stalls as well. Most were plants being sold by private local gardeners. Stocked up on fruit and veg for the week here. There are markets most Sundays so I think a visit to the markets may become a regular occurrence when I'm ready to start filling the garden. My next reconnaissance mission will be heading north to the Sunshine Coast. There are dozens of nurseries to check out and we are getting closer all the time to being able to start planting. Great to hear that you're starting to find new plant places to visit :) happy new plant hunting and shopping ahead!! Sounds like a wonderful adventure! I think you'd really enjoy the value and range on offer at the Yandina Markets on a Saturday morning - it's nice to get there early if you're hoping to buy. I've also heard the Caboolture markets are good, but have never been.